Introduced at the Geneva Motor Show in 1966 to replace the aging Giulietta Spider, the Battista “Pinin” Farina-designed Spider was based on the Giulia 105 chassis. Expensive at introduction at $4000, almost the same as a Jaguar E-Type, it afforded entry into the world of Italian design and performance, i.e. “the Poor Man’s Ferrari”. It remained in production for almost 30 years, and until recently was Alfa’s last rear-wheel-drive car. 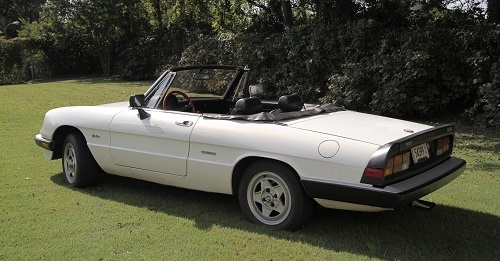 The Spider appeared in four versions based on this model: the Series I, aka Roundtail or Duetto, from 1966-70; the Series II, or Kammtail, from 1970-83; the Series III, or Ducktail, as seen here, from 1983-90, and the Series IV, or Ultima, from 1990-95. 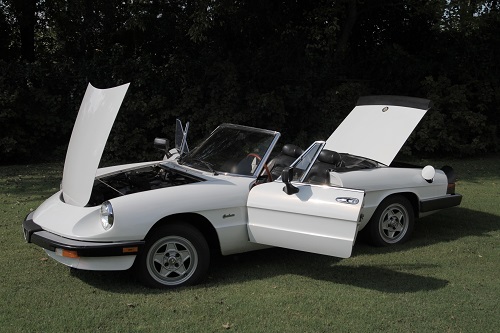 The Spider was offered in three trim levels; the $20,500 Quadrifoglio Verde (“Four-Leaf Clover”, Alfa’s long-time good luck charm), the $17,000 Veloce, and the $14,000 entry-level Graduate. 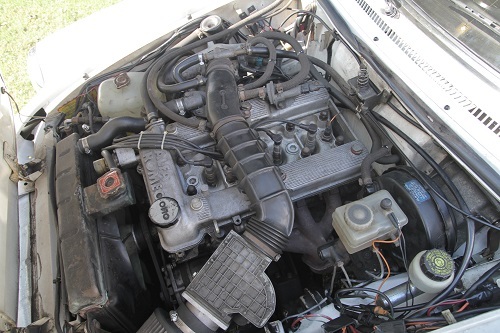 All were mechanically identical, with a five-speed and DOHC 2 liter under the hood; the differences were in the trim levels and materials. The Graduate made do with steel wheels and trim rings vs. (optional) alloys, vinyl roof and seats instead of cloth and leather, optional A/C, and manual-wind windows. 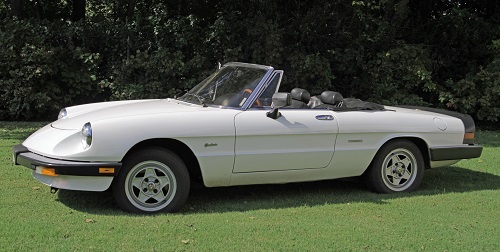 Marketed to relate to the car Dustin Hoffman drove in 1967’s The Graduate (the movie that put Alfa “on the map” in the USA), it was a very popular model.